Polaris Axys RMK Chassis Oilite Steering Blocks - Grip N Rip Racing LLC. These billet steering blocks replace the wear prone plastic OEM blocks on Polaris steering shafts. Machined from 6061 t6 aluminum, and featuring "super oilite" bushings, these blocks will probably last longer than your sled. the best part is, you never have to lube them! Two required for the main steering post, one for the upper and one for the lower steering post. For the long tracks three are required, two for the rear post and one for the front post. 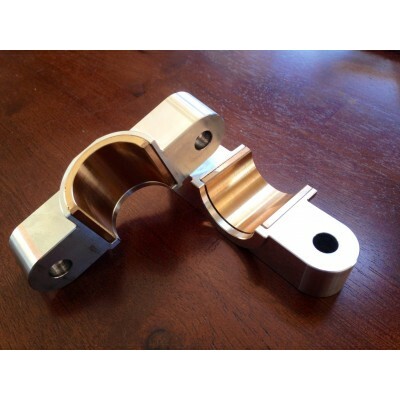 Since these are precision machined oilite steering blocks, bent or warped steering posts may cause binding!